A true tragedy in the NCFC “family” has surely reminded us all that football is just a sport. This might not be the place to talk about such things, but I can’t consider much else at the moment; the death of Simon Thomas’s wife, Gemma, at 40, just three days after her Leukaemia was diagnosed, was too utterly wretched for words. The thought of the Sky Sports presenter and staunch City fan having to tell his eight-year-old son, Ethan is searingly sad. I know our club will reach out to Simon and Ethan. But nothing can make the world right again for them. So, no strident commentary from me about anything as relatively unimportant as the club’s agm. I hope, though, that this short, factual piece will help provide some context for that meeting. 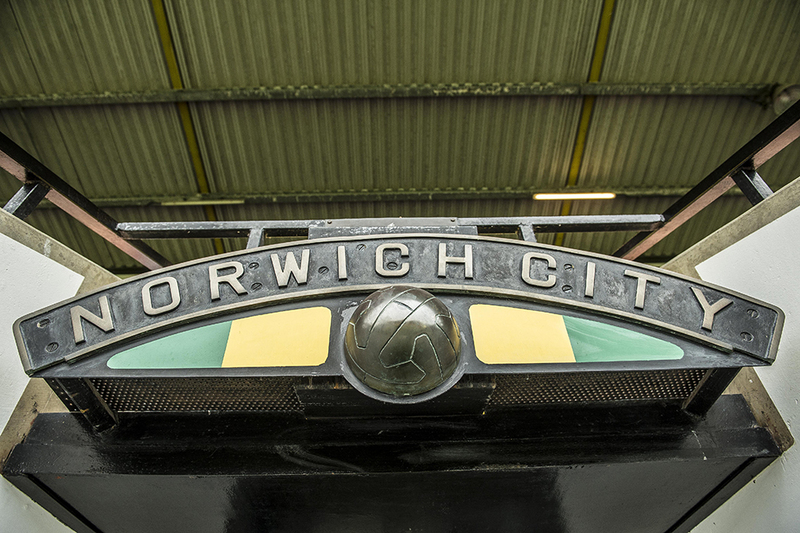 1) In the 2015-16 season in the Premier League, Norwich City’s turnover (income) was £97.8 million. Operating costs were £107.5m. So, even in the top division, the club was spending more than it was earning. 2) Easily the biggest expenditure was on wages and related payments: £67m. 3) Last season, (2016-17) in the Championship, turnover was down by £22.5 million to £75.3m. That huge reduction was almost entirely because in the Prem we were paid £70.9m as our share of broadcasting fees; in the Championship we were paid £50.2m (made up of a parachute payment of about £43m and Football League broadcasting money of roughly £7m). Gate receipts in the Prem were £11.5m. In the Championship they were down to £9.2m. Commercial income (sponsorship, sales in the shops and so on) fell by £1.2m. Delia’s Canary catering held up well, dropping just £107,000 to £4.2m. But focus your mind on the big number: the income being hacked down by £22.5m. 4) The board slashed operating costs last season, by £17.5m to £90m. But you can see that the cut was smaller than the drop in income. So the gap between what the club earned and what it paid out grew from £9.7m to £14.3. 5) There was a £12m reduction in wages last season, but they still stood at £55m. I haven’t been able to verify the claim by Kieran Maguire of Liverpool University, reported in the EDP, that it was the second highest ever wage bill in the Championship, but it was clearly a huge amount to pay players. That suggests that some players did not have “relegation clauses”, and/or that relegation clauses only brought about a small wages reduction. My guess is that players who joined us in the January window in the Premier League, when we were battling to stay up, would not have come if their wages were going to be heavily reduced if (when!) we went down. 6) This season’s accounts will not be out until next October, but we know the parachute payment has been reduced by about £11m to about £32m — another savage blow. 7) If Norwich are not promoted this summer — and even my relentless belief is being strained — there will be no parachute payment at all for 2018-19. If we are to have a club to care about, there will have to be a slash-and-burn approach to our operating costs. Good people will lose their jobs. Focus on the big numbers again: Income went down £22m when we were relegated. It’s gone down another £11m this season. It will drop again by about £25m if we’re still in this division next season. Any non-football business of a similar size to our club could not survive such a precipitous decline. 8) Anyone asking, “Where’s the money gone?” has the clear and incontrovertible answer in the accounts. Delia hasn’t been salting it away in some secret off-shore fund. It’s gone to the players. 9) A total of 49 clubs have played in the Premier League — so there are 29 relegated clubs currently in the Football League. Relegation from the Prem is always a devastating financial blow. Cardiff, who came down with us in 2014, got rid of 44 players that summer. Sunderland, relegated last summer, are having to use their entire parachute payment for debt repayments. Ipswich Town’s relegation in 2002 led to them going into administration nine months later. What is happening to Norwich this time is the norm. What was achieved in 2014-15 — keeping a good squad together and winning an immediate return to the Premier League — was the anomaly. 10) Nobody can claim the board put prudence before ambition. We now know that they took a punt on staying up — which is what lots of fans demanded. 11) The club must bring in money by selling players. They can only sell players other clubs want to buy. Those two sentences are simple statements of facts. 12) An “investor” would have to stump up £25m next season just for us to stand still. If he (or she?) believed we needed to be as financially strong as we were when we fell out of the Premier League, it would require an injection of £48m this summer. Then at least the same sum the following season. And the one after. And so on, until and unless Norwich win promotion. That’s without spending anything on strengthening the squad. That’s not an “investment”. That’s throwing money away. There really isn’t a queue of people begging for the chance to do that. About time proper perspective was put on the situation the club finds itself in. Those folk who criticise Delia and Michael for their stewardship of our club will probably never be persuaded as to the reality facing the Board and the management team. Mr Delf, I can only assume by your comment you do have in depth knowledge of the reality facing a board? Conjecture springs to mind for both sets of opinions, making one no less valid than the other. Although, having said that you are most certainly wrong. Just think it through for a second. I can only assume you are a fan, so if you owned our splendid club and could no longer afford to maintain it (hence the recent sales), let alone allow it to progress, what would you do? I know exactly what your answer would be, even if the stubborn element of your brain so dearly wants to decline such linear advances. My opinion, based on the incredible catchment area and many wonderful opportunities presented to push our club forward, is that have done less than a mediocre job. It’s been pretty poor actually, especially when you think about what we could have had and what we are destined to have after this testing season. Even if the club did galvanise, it wouldn’t be a long term solution as we simply can’t sustain success with luck alone. They have sucked the life out of the club and supporters and made you somehow believe it’s all you can hope for. How frightfully sad. Quite simply,they have no one who understands that if our goal is to be a solid Premiership Club then we need to be taking action now to be a Global brand,we have the potential ,otherwise whatever happens on the field it can only be and will only be, short lived…………..
PS. I accidentally liked your comment. Don’t let the dopamine levels raise too high. Thanks for talking to us like children. The only real relevant point is the final one. On that note, without investment, how do you expect us to go anywhere but further down the league? i will not argue with those figures, but as one person who used to work at carrow road said norwich city is the graveyard of ambition. Yes they took a punt on staying up but it’s a shame there was no proper recruitment team in place and that tens of millions were wasted. Perhaps Delia should have been thinking since relegation about the longer term ownership issue. But of course she is happy with the current cosy clique and has promised the Club to Tom (who may not want to be lumbered with it by then) – so potential investors have been put off. Thanks for putting our finances into perspective. We have to accept that the way forward is bringing through young players, selling our high earners (if there are buyers), hard work and teamwork. There just is not an endless supply of millionaires happy to sink their riches into football clubs. It puts a premium on correctly identifying the players we need to keep and those we should sell as well, of course, on the quality of the coaching. It should be alarming to us all that our only hope is developing and selling youngsters. Something we’ve almost completely failed at for a decade. We’re also going to run out of players to sell soon!! I wish Simon Thomas well, truly tragic. As for the accounts it shows how much has been truly wasted on poor managers, appalling players, a lack of decent scouting, a lack of decent facilities and an all-round mismanagement of the best opportunity to establish us as a Premiership club. Our best opportunity is to reach our potential, is to find new professional people willing to invest. The Times interview hit home the problems we were in with the current owners. Unbelievable, just unbelievable. No wonder we’re gradually going down the pan. There’s none so blind as those who cannot see. My one concern is that when the chance was there to look for investors during the Lambert/Houghton period nothing was done. We were a potentially stable premiership club and the board didn’t want to let go of the club, shortsightedness is bad management they knew they couldn’t or didn’t have the finances to take the club further but turned a blind eye to it. Now we are deep in the mire they are still saying they are not looking for investment, none will come unless you let it be known you are open for business at the moment the Smiths are saying city is closed. All the best to Simon and his son for the future, no child should lose a parent at such a young age. All these numbers have been posted recently by another author. We know our financial state. The question is – what is Delia going to do about it? I agree with my namesake. Ambition is not a word which should appear in a sentence alongside the words Norwich city unless accompanied by the phrase “lack of”. If you want an example of a play off winner “taking a punt” look no further than little Huddersfield town. The amounts they spent post Wembley put our token pittance to shame. Notwithstanding the 7miliion pounds garnered for selling Grabban in the window. Face facts, carrow road is stale, the club is going downhill faster than a Jamaican bobsleigh, people want a change. Nothing, short of a miraculous upturn in form will prevent the dissatisfaction from growing and the dissent getting louder. As is said previously, the times grande reveal laid it out, in black and white, in words of few syllables. A supposedly hand picked friendly journalist did a fantastic hatchet job and thrust a fat middle finger at the support and said “eff you” that’s how it was taken and it can’t be taken back. Enough of the cronies and nepotism, let’s join the 21st century. As others have said, your financial analysis should be helpful for those supporters who do not understand such matters and argued against the sale of Howson et al last summer. However, it only highlights: a) what a waste was incurred during the years of plenty and b) why new investment should be sought (although I fully concede that it is not a panacea). The experience of clubs across the country doesn’t necessarily support your final point Mick, however logical it may appear on paper. We know that won’t happen though, so my main hopes are that we start to play more attacking football with a talented group of young players that we nuture in a way not seen for generations at the club. Stuart Webber has done his best to restructure the wage bill in his time here so far. High-earners like the Ruddy’s, Bennett’s, Mulumbu’s and Lafferty’s have been jettisoned and replaced with cheaper German players or loans and lowered the overall wage bill considerably. But we’re still hamstrung by some of those huge contracts for the likes of Jarvis and Naismith. Nobody will take them on those wages at their age and they won’t leave for less than they’re getting here. It’s a continual financial blow that comes as a result of making ridiculous recruitment decisions for short term reasons. Two old Premier League players on silly money with at least one carrying a horrendous injury record. For those of us old enough to remember, this was Walsh and Cottee Mark 2. A sign that we were desperate and got silly. At least with someone like Klose or Pinto who equally have high-value contracts, they retain resale value because of their age and they contribute on the pitch. But unless we get lucky and manage to scramble up somehow it will probably take us to lose all the big wage earners before we can achieve a wage bill that isn’t exceeding our income. And due to the length of some of these contracts that will take two or three more years. As Mick says, the shortfall in the next few years whilst the last big contracts are disposed of will be met by losing non-football staff. After that the only way to make ends meet is to sell off remaining players. It’s a bleak picture, but, at least with the current directors we know that this is as bad as it will get and that we will never go under on their watch. Sorry Andy but I only see Messr Stone and Webber at city short term. If Stone proves himself at city a club with more financial clout will come calling and as for Webber he has never stayed longer than 18months at a club so it shows in his wiki page so will he be here next season. Apart from the 3 seasons at Anfield! Having read the above comments, I had to re-read the article. Had Mick somehow defended Delia and Michael? No – unless you count a statement of fact (eg Delia isn’t salting the money away) as taking sides or being reluctant to criticise. All Mick has done is state facts. I’m sorry if some people feel it’s talking down, or re-stating things we all know. Comments on social media – and indeed on this site – suggest that the simple facts are NOT universally recognised. Many are easy to establish, by for instance looking at the Accounts – but it’s clear that some people would prefer to keep their prejudices intact. I don’t think most people are thst blinkered in their thoughts it just seems where Mick is concerned the Smiths can’t do any wrong. They are like everyone else and make mistakes but these never get any comments from Mick. He says there are no investers interested in city due to the amounts needed but there are always investers interested if the owners put it out that they are looking for someone that is the nsture of the beast they are gamblers and if Barnsley can get Chinese and American in a joint venture why can’t city we must be just as attractive. Never have I read such an utterly dispiriting set of comments, to a factual piece. Its plain that at least 50% of the responses are from supporters who have lost all sense of reality. I love my club but am not delusional enough to think it is our right to be fighting for promotion, let alone be continually undertaking season after dull season in the Premier League desperately clinging on, mere fodder for Sky’s favourites. For every Wolves, the Championship is littered with foreign owned clubs…..QPR, Reading, Birmingham, Fulham show there are no guarantees, the type that some of our own seem to demand! Look at those in the Prem with ‘Professional Investors’… Everton, Swansea, Palace anyone?? People go on as if its only Norwich are the only club who have ever made mistakes & wasted money since the advent of the huge TV revenues, as if its somehow only our embarrassing problem. Its been said before, because its true…. be careful what you wish for!…. and get a grip! What about 18 months ago? Were there potential investors then? Or when we were a premier league team free of debt and with guaranteed income of £90m? Still no investors out there? Awful, into decision after inept decision (or lack thereof) by the owners and board have brought us to precisely where we are and then we are told nobody wants to buy us because of where we are and we are stuck with them and then their nephew. Have had enough and very sad to see how so many fans have had the enthusiasm drained from them, particularly since they came clean in the Times. Yes, yes Mick…no one wants our fine club, but they so dearly want absolutely awful clubs around the country. These very same people don’t mind putting hundreds of millions into Bournemouth, Wolves etc but not £48m Norwich. Oh no. We’ve heard the lies before and anyone with a spattering of a brain cell doesn’t believe them. Please stop pedaling such dross, it only serves to further distance supporters from the board. With one or two exceptions Mick Dennis ripped apart even more remorselessly than usual! You would have thought he’d have learnt by now that generally his sycophantic articles cut no ice here. Ignoring Mick’s drivel the facts are very simple, As well meaning and gracious as our directors may have been in the past financially they are mere paupers even in comparison with the backers of most clubs in the Championship. The club is terminal decline. Before things get really ugly, stop being obstructive, actively encourage and seek suitable external investment (with expert assistance if necessary) and gracefully step aside. There really is not an alternative. Football is a serious business, not a vehicle for a social life. Despite the efforts of the superb young Madison, the football played at Carrow Road this season is without doubt the most boring, gut wrenchingly frustrating garbage we have experienced in many a long year. Just look out for the empty seats at the televised next home game with Sheffield Wednesday and we might have an insight as to the trend that lays ahead. Forget the bloated “official” figures, we all know an increasing number of the counted season ticket holders will not be in fact be in the ground. Just love how so many fans play ‘fantasy investor’ every time we go through a bad patch or the accounts come out. Like there are dozens of rich benefactors sat in the Bentleys outside Carrow Road just waiting for Delia to open the doors. When will people get it into their heads that any serious investor – who was genuinely determined to buy the club – would not take no for an answer and the first thing they’d do is get the fans onside? Has that happened? No. We’re not Utd etc where we are a potential global brand that enormous conglomerates or even middle-eastern states can just swallow up as part of their portfolio – without a care for the fan; we are a provincial club whose fan base is almost entirely local, miles from anywhere, struggles to persuade players and managers to cross the border, has limited if any attraction to big business and media and has to scrap for every bit of success. And that’s what we’ll have to keep doing for ever – scrap, fight, not lie down, punch above our weight etc etc. Mistakes will be made. So will successes. We have never been a consistent top flight team and we never will. So just enjoy the ride. Gotta love the “Little Ol’ Norwich Mentality”……………..
We will always be little in comparison to some but that doesn’t mean we can’t scrap, challenge, fight, be ambitious etc. Better decisions by the Board at crucial times would help but unless I’m mistaken, only Leicester have broken the top six monopoly in many many years and fans at pretty much all the other clubs bar one or two below the top six aren’t happy. James, I loathe thm little old Norwich mentality. It’s sickening. Norwich is 1hr 50mins from London on an abellio train…. It’s really not that far! Players and mangers go where the highest salary takes them. China is a massive country, full of new found millionaires due to their economic boom. Millionaires like expensive playthings, not investment pieces, and a football club is in vogue. There are thousands of people queuing up for a club like ours!! Barnsley when I last looked. The article lays out the facts but fails to address the underlying issues. No one can doubt your loyalty Mick. The most telling fact here is within point 1). The huge operating costs didn’t just happen by default – they were sanctioned as part of the approved budget by the whole Board – which is odd, given the self-funding tenet. Blackpool was supposed to be self funding and look at the mess they are in now, I have live in Blackpool for the last 37 years and watched the club from a far climb up to the premiership and back down. Just as the Smiths they got the club on the cheap as it was in dept and no one wanted it, land was purchased to build a new stadium by the m55 for ease of access it has now have 1100 homes built on it sold by the Oystons, the club is losing £35k amonth so the local papers say so where is the wages coming from ?????? Now the Oystons and Smiths are different as in chalk and cheese but both have hung on too long and all the good they have done will not be remembered if city follows Blackpool into the lower leagues. Convenient that this has come out two days before the AGM. Yet another propagnda piece from Dennis. Here’s a question for you Mick … I accept that the owners took a punt in January 2016 and to be honest with you I was at the time, delighted with the signings of Klose and Naismith. But why on earth did we leave it so late and not invest more funds in the summer of 2015? Did deals fall through or did we believe we had a strong enough squad to stay up? My main gripe with the board is they don’t seem to learn from their mistakes – our relegation in 2004-05 could have been avoided by spending big in the summer instead of in the January and we all know what followed in the years after that. The problem with the summer 2015 window, as I understand it, was that we submitted bids (esp for central defenders) which didn’t come to fruition. It could be criticised as a window where we were unrealistic, but not as one where we lacked ambition. Since that fact doesn’t fit the preferred narrative of some, though, I fully expect it to be rejected and anyone stating it (in this case me) to be dismissed as a happy clapper. I agree Stewart, it was unrealistic. Does that make it less of a failure? You have to hand it to mick Dennis, he doesn’t half get the keyboards rattling! Predictably, most find what he says hard to stomach and respond in kind. A few deliaphiles come out with the same nonsense, supporters should “get a grip” apparently, insulting as I’m sure they have a pretty good “grip” thanks all the same. Also, the classic “we re not Manchester United” is peddled out. Neither is anybody else, bar Manchester United of course. I wonder what would happen if smith were ever bought out? What would become of her followers? I hazard a guess they wouldn’t be seen at carrow road again. Nobody disputes micks figures. We know we’re in the crap. What mick never does is address the issue, I.e. The reason why we are in the crap. The mismanagement from the top and the chronic need for investment, that others have access to. It’s unbelievably sad for someone who fell in love with Norwich city as a little boy in 1971 to read fellow supporters are losing the love for the club. I urge them to keep Norwich city in their hearts and remember the reason why they have the club in their souls. there is a better way and together we can find it, this current situation cannot continue and if it plays out in the way it looks most likely to it will signal the end of cronyism, nepotism and small time thinking. Another point Mick – Nobody is questioning whether we spent money on players. The question is how did we manage the club so incompetently that we on multiple occasions had no recruitment teams. That we were forced into panic buying expensive, sub standard players in Jan windows because of this. That we have bought numerous players and almost never played them. That we have consistently shunned experience on and off the pitch. During this period of ‘wealth’ we have failed to turn this into results, or even entertaining football, for around half a decade. When this club has experienced success it is almost in spite of our owners, not because of them. Good debate folks. Passions are understandably running high on both sides of the ‘divide’. Let’s keep it classy please. Name calling is fine as long as you don’t expect your comment to be published; ditto any with a threatening or aggressive tone. Simple. We wun’t ave no strangers ere! This is a local club for local people. My nearest league team is Colchester, with a new stadium capacity 10,000 average home gate 2500 give or take with a chairman who wants to be self sufficient. If mistakes were made in recruitment by managers , who was the relevant CEO and who appointed the CEO. As it stands Delia has allegedly had her loans repaid and has had a good run at the club. She can leave knowing that her place as the clubs most recent saviour is safe, but to drop to league 1 again would certainly tarnish her reputation. You just won’t have the board criticised will you Mick? The board have made lots of mistakes, spent the income very unwisely and totally responsible of where we are. They cannot be trusted. As I have mentioned on this forum before, the only people who benefit from Delia & Michael’s majority ownership are them and them alone. They saw an opportunity and took it, but the club MUST be sold for us to have any chance of moving forward and I’m not prejudiced to exclude foreign ownership. We tried to whing it until January, sticking with a squad that wasn’t good enough last time around (Brady aside). We then brought people in too late but when we say, we spent. Did we not have the money from Johnson, Hooper and Grabban? Our net spend was low. Yes wages would’ve increased. The board have more than got their money back but they can no longer afford to lead this great club. Investment is needed otherwise, we will just be another Ipswich and be In this league for years.